New technology has been developed by Softwheel. Its CEO Daniel Bar-El says will “do away with the need to find a ramp” when wheelchair users go down a flight of stairs. The technology includes a wheel that can absorb the shock caused by descending stairs, and an internal mechanism that helps the wheelchair user maneuver. Gilad Wolf, The man behind Softwheel, spent some three weeks in a wheelchair when he fell and injured his hip four years ago. At some point, he thought up the idea of incorporating airbags to make the descent more comfortable. The company is now in the process of rolling-out its products. 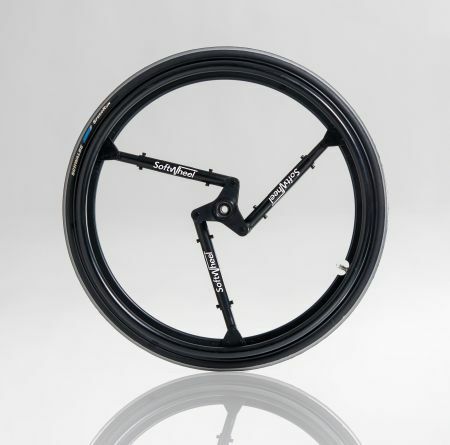 Currently, Softwheel’s technology is used in wheelchairs and bicycles. The company also plans to develop a product to help people with limited mobility get out of their vehicles without using a ramp.